These days, having a good credit score can spell the difference between borrowing with ease and facing major roadblocks every time you apply for a loan. In fact, about 90% of US lenders use FICO, the country’s largest credit score provider, to decide whether you’re a good candidate for a mortgage, apartment lease, or auto loan. Now it’s one thing for adults who have put in their time in the working world to establish good credit, but for college students, building credit is a whole other challenge. Many college students actually earn negative money during their college years, as the amounts they take home from their part-time (or even full-time) jobs pale in comparison to the bills they rack up on the road to getting their diplomas. Open up a credit card and use it regularly. Most credit card companies won’t issue you your own card until you reach the age of 18, but once you’re old enough, get a card in your name and make charges on it every month. Pay your credit card bills on time every month. Even if you have no choice but to only pay the minimum amount due, it’s imperative that you avoid late payments, as these can wreak havoc on your credit score. That said, it’s also important to keep your month-to-month balance as low as possible. Carrying a high balance looks bad from a credit perspective, but worse yet, the longer you owe money, the more interest you’ll wind up paying. Avoid the lure of additional credit cards. Some credit card companies like to target college students by setting up shop on campus and offering free incentives to those who apply. 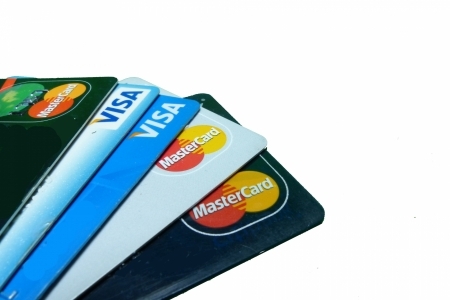 Your best bet, however, is to stick to one or two credit cards at the most. Check your credit score every year as a student to see how you’re doing. There are three major credit bureaus that offer free annual reports: Experian, Equifax and TransUnion. While it’s important to review these, know that they won’t contain your actual credit score, which is something you’ll need to see. Keep in mind that while 850 is technically the highest credit score available, most people aren’t able to sustain that number. However, if you manage to keep your score at 720 or above, you’ll be in pretty good shape when applying for a loan. While you may have to pay a small fee to access your credit score, it’s a worthwhile investment, especially if you find that your score isn’t as high as you’d like it to be. The earlier you take steps to remedy the situation, the less of an impact your low score is likely to have. Remember, once you graduate college and enter the working world, there’s a good chance you’ll need to rent an apartment or secure transportation—prospects that become much easier if you have a good credit score to back yourself up. By being responsible in college, you’ll be setting yourself up for a smoother road to borrowing as an adult.These days, having a good credit score can spell the difference between borrowing with ease and facing major roadblocks every time you apply for a loan. In fact, about 90% of US lenders use FICO, the country’s largest credit score provider, to decide whether you’re a good candidate for a mortgage, apartment lease, or auto loan. Remember, once you graduate college and enter the working world, there’s a good chance you’ll need to rent an apartment or secure transportation—prospects that become much easier if you have a good credit score to back yourself up. By being responsible in college, you’ll be setting yourself up for a smoother road to borrowing as an adult. Is everyone eligible for insurance?